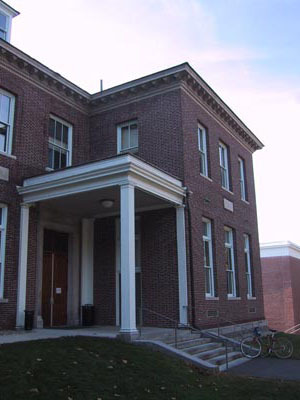 Originally built in 1909 to house the Biology and Geology Departments, Webster Hall was named in 1974 for Leslie Webster of the class of 1915. 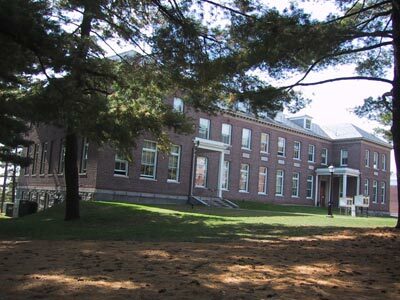 The building was designed by McKim, Mead and White, and financial support for the building was provided by a number of donors, including Andrew Carnegie, who gave $75,000. In 1912, two porticoes were added at the north entrances. In 1948-1951, the building was remodeled for the use of the Biology Department alone, and several more additions and renovations were made over the years (Archives & Special Collections, Buildings and Grounds Collection, box 2, folder 21). In 2000, the building was converted into the home of the Russian Department, the Asian Languages and Civilizations Department, and studios of the Theater and Dance Department.